Shipping and handling is already included in all products priced $99.99 and above. Shipping costs for items priced below $99.98 are listed below. Most orders shipped within 24 hours. Shipping rates to Canada, Alaska and Hawaii will be higher and orders to these locations must be placed by phone or fax only. If you live outside the USA, please see the grey “International Orders” tab above. Map above is for Stiga Hockey game Orders only. 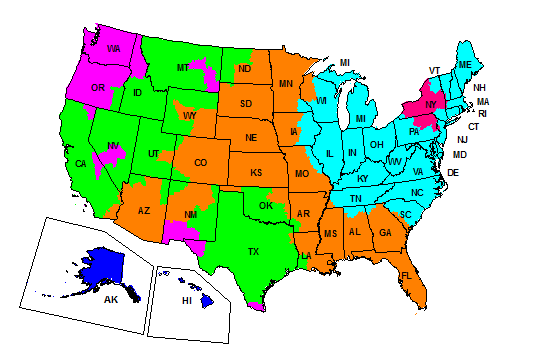 Small Part orders ship through the USPS so map above does not apply. We ship small part orders using both First class mail and priority mail and transit times will vary. Ground shipping is not a guaranteed service, but they statistically have a 99.6% on time rate and generally run on schedule. Stiga Table Hockey Games – Same day shipping on most orders placed by 2 PM EST. Most orders ship within 24 hours. Nobody is faster than we are! Because getting the game to you safely is our top priority, we use FedEx Ground, the industry leader in residential package delivery. Rush Shipping with FedEx Express is available, see link above. Some products including Snow Racers and Carron Hockey Tables are drop shipped and will incur additional delivery time. Your game will be shipped in a custom made heavy duty cardboard box for maximum protection. Most online retailers like Amazon just slap an address label on the game box and do not ship your game in an outer carton which is insane! We use plain brown boxes so inside contents will not be obvious from the outside. Our company name “Tablehockeyshop.com” is listed in small print on the address label. You do not need to be home to sign for the package. Fedex Ground will leave the package without a signature. We can also ship to a work address or alternative address if needed. FedEx Ground does not deliver to PO Boxes. Please make sure that your shipping address is a physical street address. 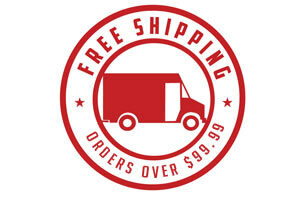 Stiga Teams and Small Parts – We ship all small team/part orders through USPS. In the unlikely event that your game incurs damage during transit, we will replace the damaged parts and/or game promptly and free of charge. Contact us and we will handle the problem for you immediately. Any shipping damage claims must be made within 14 days of receiving game. If you are ordering well in advance of Christmas, make sure to check game upon receipt so we can solve any problems for you immediately and to be within that 14 day FedEx window. Items reshipped due to warranty issues, damage, defect or missing merchandise are shipped by FedEx Ground, first class or priority mail only. We do not upgrade or pay overnight or express shipping fees for these items. Packages with an incorrect address are re-shipped at the customer’s expense. If you are paying with Paypal, please make sure your address is up to date. Otherwise your order could ship to your old address! 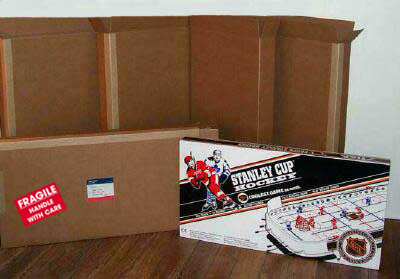 Tablehockeyshop.com will assume no responsibility for shipping fees in this situation and order will be re-shipped at customer’s expense.